Choosing a company name is the first and most important step in starting your LLC. Be sure to choose a name that complies with Florida naming requirements and is easily searchable by potential clients. 2. Is the name available in Florida? Make sure the name you want isn't already taken by doing a name search on the State of Florida Sunbiz website. You are required to nominate a Registered Agent for your Florida LLC. Who can be a Registered Agent? A registered agent must be a resident of Florida or a corporation authorized to transact business in Florida. You may elect an individual within the company including yourself. To register your LLC, you will need to file the Articles of Organization with the State of Florida. This can be done online at the MyFlorida Sunbiz website or by mail. When filing on Sunbiz or by mail, you will be asked for the name and address of person(s) authorized to manage your LLC. Only LLC managers should be listed here. If you leave the “person(s) authorized to manage your LLC” section blank, the state will assume your LLC is member-managed and member privacy will be completely protected. 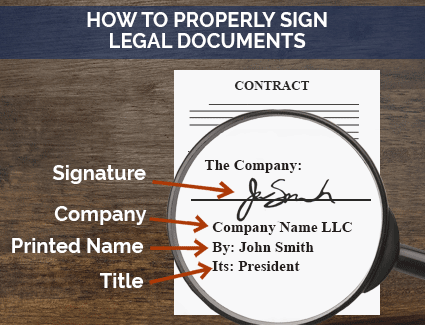 If your LLC will be manager-managed, only the manager’s name is required unless the manager is a company or an authorized representative (such as a registered agent service.) By providing only necessary information, you will protect the privacy of your LLC managers. You have until the due date of your LLCs first annual report to decide how your LLC will be managed. We recommend learning more about member-managed and manager-managed LLCs before you file. If you’re expanding your existing LLC to the State of Florida, you will need to form a Foreign LLC. What is the processing time to form my Florida LLC? 3 to 5 business days online or by mail. What is the difference between a domestic Florida LLC and foreign LLC? An LLC is referred to as a "domestic LLC" when it conducts business in the state where it was formed. Normally when we refer to an LLC we are actually referring to a domestic LLC. A foreign LLC must be formed when an existing LLC wishes to expand its business to another state. If you are filing as a Foreign Florida LLC learn more here. An operating agreement is not required in Florida, but it's a good practice to have one. For more information on operating agreements, read our Florida LLC operating agreement guide. Do I need to file my operating agreement with the State of Florida? State: Check out the SBA's Florida Business Resource page to research which permits you will need for your LLC. If you are selling a physical product, you’ll typically need to register for a seller's permit through the Florida Department of Revenue website. If you have employees in Florida, you will need to register for Florida Re-employment Tax, a type of unemployment tax, through the Florida Department of Revenue. New employers pay an initial tax rate of .0270 (2.7%) on the first $7,000 of yearly wages paid to employees. If your business falls within a specific industry, additional state taxes may apply. Florida requires LLCs to file an annual report with the Department of State. This can be done online. Due Date: The annual report is due by May 1st if your Florida LLC was formed in the years prior to the current year. If your Florida LLC is formed on or after February 10th 2019, then your first annual report will be due before May 1st 2020. Late Filings: Florida charges a $400 penalty if you miss the May 1st filing deadline. In addition, failure to file your annual report by the third week of September will cause your LLC to be dissolved. Florida has no specified regulations on pay frequency. However Federal law states that you must have a consistent pay frequency. Typically most employers pay on a semi-monthly basis. Forming a foreign LLC allows your company to operate as one entity in multiple states. If you have an existing LLC and want to do business in Florida, you will need to register as a foreign LLC. This can be done by mail. You can order a Certificate of Status either online or by mail. When you are ready to dissolve your LLC, follow the steps in our Florida LLC Dissolution Guide.